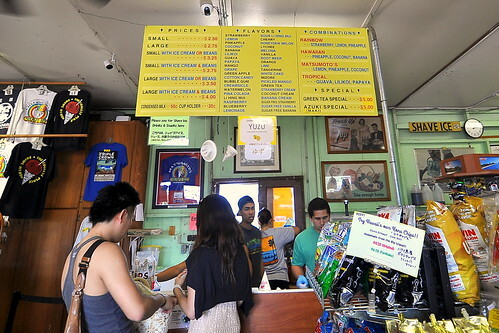 In addition to eating our weight in garlicky shrimp while on Oahu’s North Shore, The Astronomer, Luscious, and I also dug into two sweets and an additional savory: shave ice at Matsumoto, cream pie at Ted’s Bakery, and local-style rotisserie chicken at Ray’s. All three are highly recommended if you ever find yourself in these here beautiful parts. 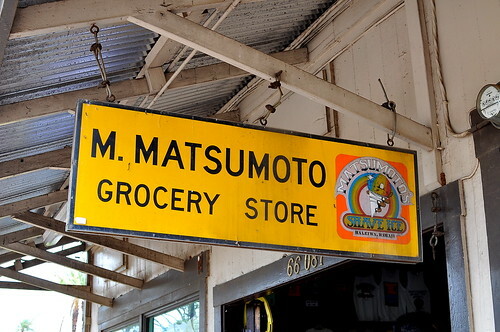 When Mamoru Matsumoto first opened M. Matsumoto Grocery Store back in 1951, he peddled wares on a bicycle, while his wife Helen managed the store. 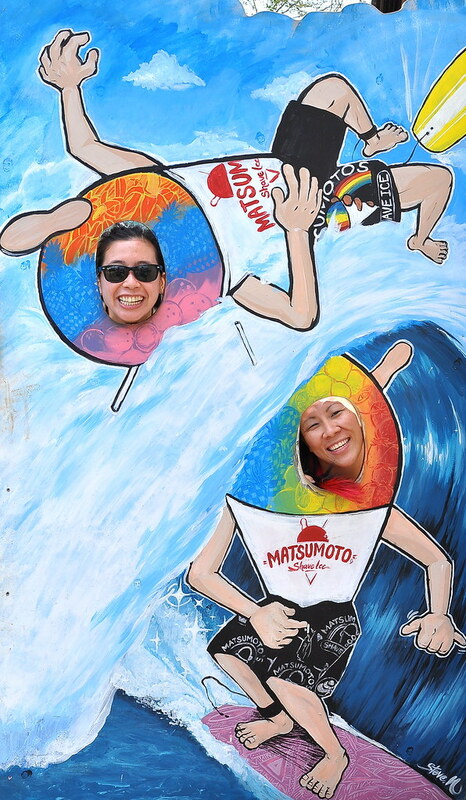 It wasn’t until sometime in the 1960s that the Matsumotos began operating a shave ice stand within the store. 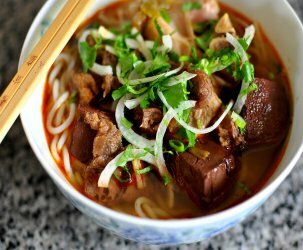 Today, the couple’s son Stanley and his wife, Noriko, own and operate the business. 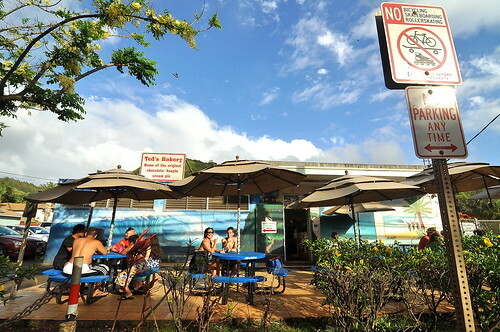 On sunny days, the store sells up to 1,000 shave ice, according to Matsumoto’s website. With over 40 homemade syrups, as well as ice cream and azuki beans to complement it all, the combinations here are sticky, sugary, and seemingly endless. 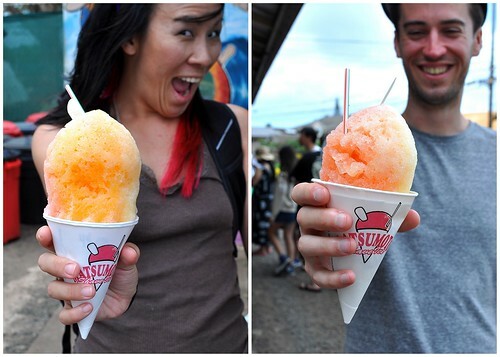 Balmy weather and shave ice are a match made in paradise. 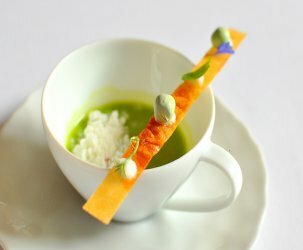 And definitely add on a scoop of vanilla ice cream—cool, creamy, mmm! 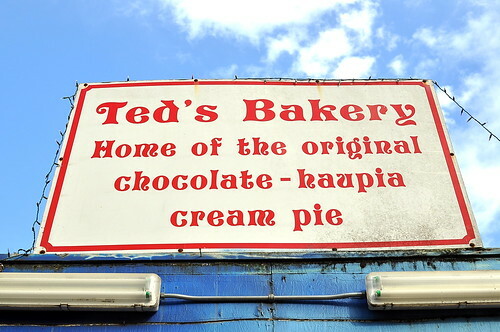 After spending all day in the hot Hawaiian sun, diving into a slice of Chocolate Haupia Cream Pie from Ted’s Bakery was something kinda wonderful. 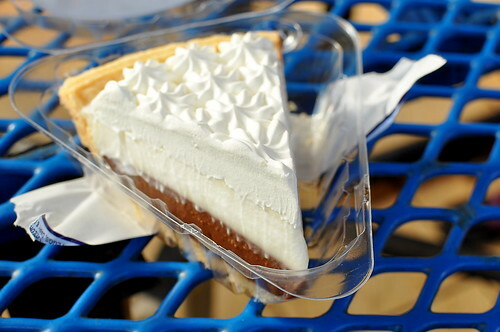 After procuring the pie inside the bakery, our party of three parked ourselves alfresco to dig into the goods. Comprised of perfectly velvety layers of dark chocolate custard, coconut pudding, and whipped topping, the pie had a cooling sweetness that hit the spot like you wouldn’t believe. The J. 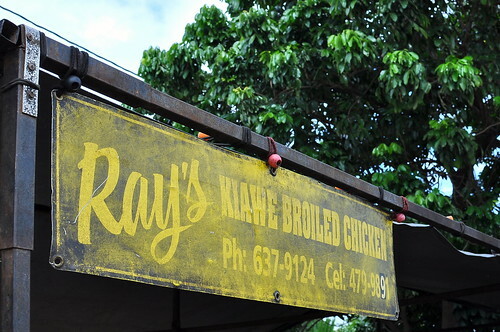 Gold led us to huli-huli chicken gold at Ray’s, a mobile operation that parks at the Malama Market on Saturday and Sunday afternoons. 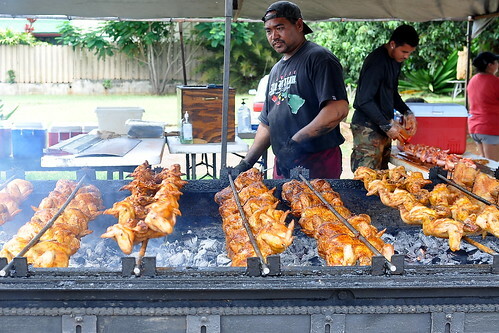 Huli, which means “turn,” according to Luscious, is a local specialty that marries sweetly marinated chicken with an impressive rotisserie burning kiawe wood chips. The clucky fellas go from raw to cooked in just 25 minutes. We shared half a chicken ($6) that was hacked into manageable bits by the kitchen. 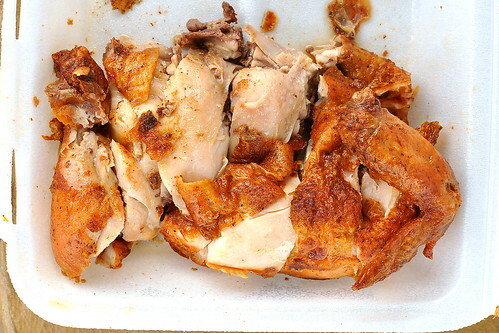 The bird’s taut, crisp, smoke-kissed skin was very lovely, as was its impeccably moist meat. 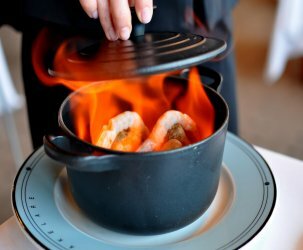 Now, that’s some good chicken! 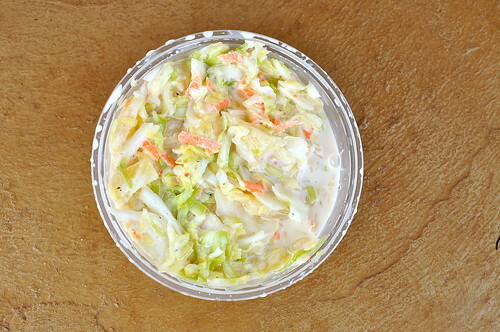 To accompany our turn-turn bird, we split an order of the pineapple coleslaw ($2)—a classic pairing (with an island twist). The North Shore’s got it all.